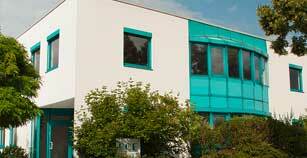 BCE, founded in 1986, has extensive experience in the field of engineering ceramics. 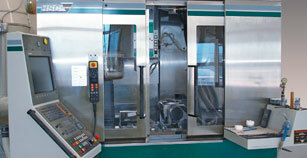 This enables us to assist our customers in developing the optimal material for specific applications. We can produce one custom item, a prototype or your full manufacturing run. The right selection of materials for the specific application and the production possibilities are an essential part of any customer consultation. We’ll advise you thoroughly, and make customer-specific precision parts out of high-performance ceramics in unit quantities as low as one. With our innovative manufacturing processes, we always offer top efficiency and product quality. We can make small and moderate runs economically. Our quality management according to DIN EN 9001:2008 provides gapless documentation for long-term quality assurance. Our high-performance ceramics feature high strength, hardness, thermal and chemical resistance, and high electrical resistance. We are at home in industry, medicine and research and development. BCE Special Ceramics is a successful, steadily growing high-tech company. 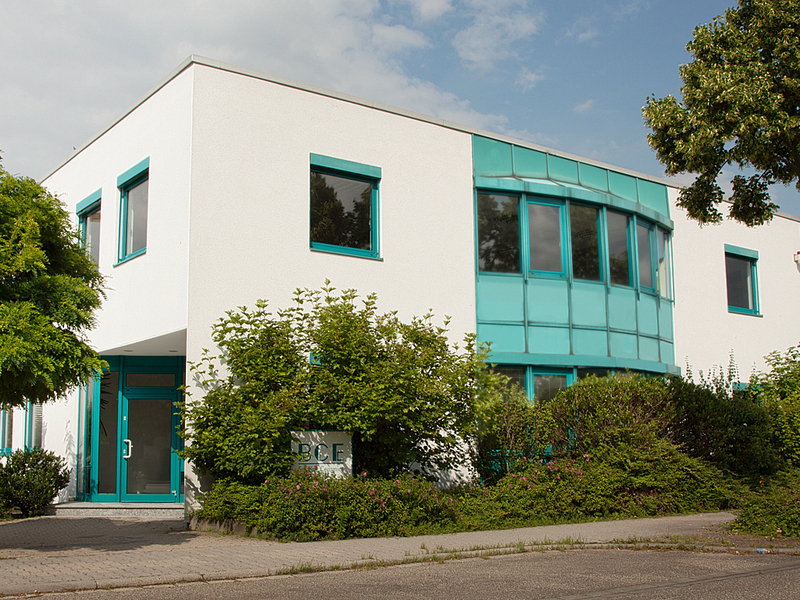 We manufacture exclusively at our Mannheim location, offering a high level of solution-focused consulting and the best possible product quality using high-performance ceramics for individual applications. Our special materials include high-performance non-oxide ceramics like silicon nitride (Si3N4), silicon carbide (SSiC) with free (SiSiC) or without free silicon ( SSic), boron carbide (B4C) and aluminium nitride (AIN). These let us meet extreme performance profiles, like maximum wear resistance or good heat conductivity. Hard facts speak in favour of working with BCE. 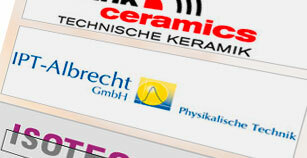 Precision components made of high-performance ceramics from the experts in Mannheim. The manufactured assemblies and ceramic components from BCE cover a very broad spectrum in various fields of applications and several industry sectors. 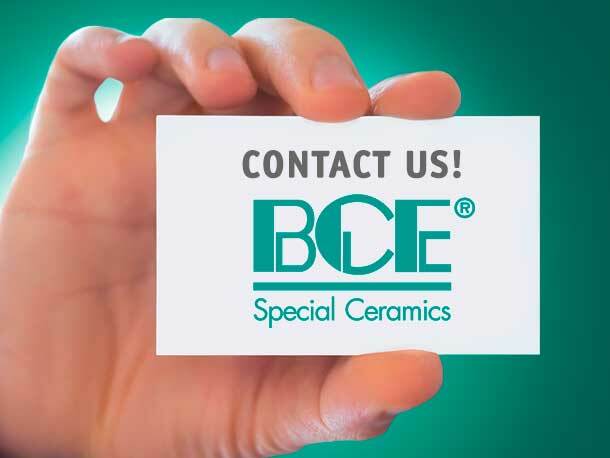 BCE Special Ceramics – Ceramics expertise. We have been making customer-specific components for 30 years. Consulting and material-specific solutions for your design. 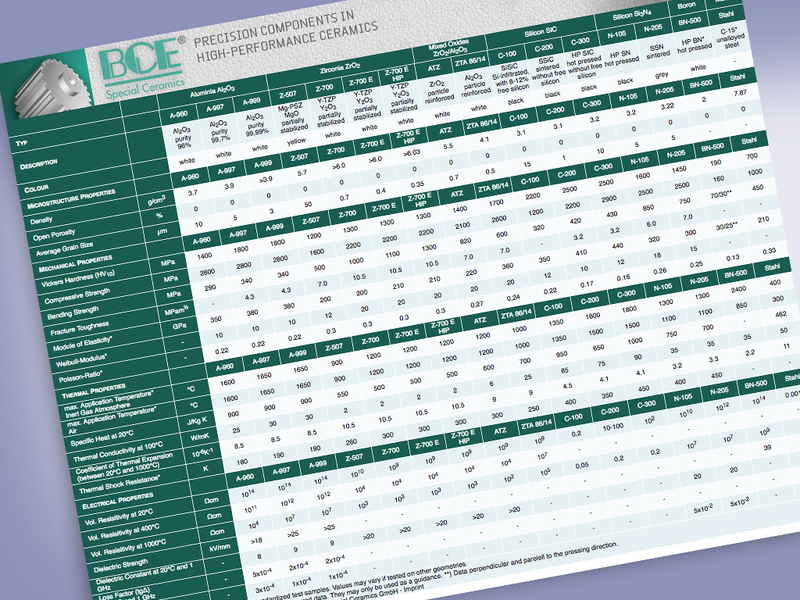 Our materials table lets you compare specific properties. Ceramic hybrid bearings and temperature-resistant ceramic components improve the efficiency of renewable energy technology. High electrical insulation coupled with maximum gas impermeability give maximum safety. The ceramic material Al2O3 offers the ideal combination of corrosion, abrasion and temperature resistance. Oxide-ceramic insulator materials combine high mechanical strength with chemical resistance. A special manufacturing process makes it possible to make even small quantities in a short time without notable tooling costs. Technical ceramics can be used at temperatures of 1,750 °C and are very resistant to oxidation. Processing of high quality ceramic powder for use under the most extreme operating conditions – even at unit quantities of just 1. Whether for flanges or bearings, ceramic components enable safe operation and long life under even complex requirements. 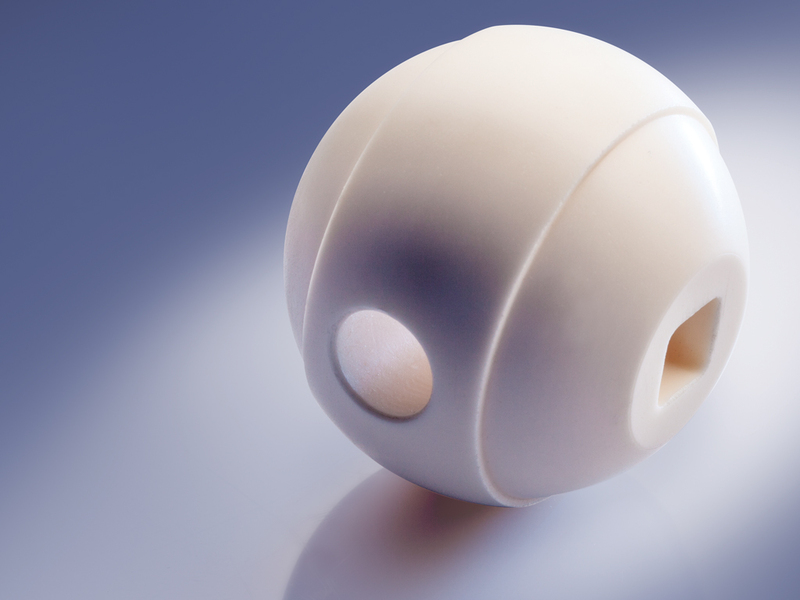 Ceramic materials meet the most demanding requirements for implants and endoscopic components. Their low thermal expansion and high temperature resistance make ceramics ideal materials for measurement devices. Precision of just a few µm and high wear resistance are necessities for maximum availability of micro-components. Oxide ceramics like ZrO2 reduce susceptibility to seizing and enable high surface quality and process safety. Since 1986 we have been passionate about the manufacture and processing of ceramic materials. A large machine park and the most advanced measurement technology for producing “Made in Germany” technical ceramics. Together, we can do more. BCE is a strong group partner.